Singapore law, which has its roots in English law, has now evolved into a distinctive jurisprudence. It continues to absorb and modify the common law as well as best practices from other mature legal systems. Developments in Singapore law reflect an acute awareness of the need to recognize and accommodate current international business and commercial practices. The legal system in Singapore has received numerous international accolades for its efficiency and integrity. As a consequence of this, there is now wide recognition of Singapore as a leading legal hub in Asia. Click on the image to view our e-book. To request a copy of the brochure, please email [email protected]. In 2015, SAL's Promotion of Singapore Law Committee commissioned a survey on governing law and jurisdictional choices in cross-border transactions. Click on the image to view a summary of the results. 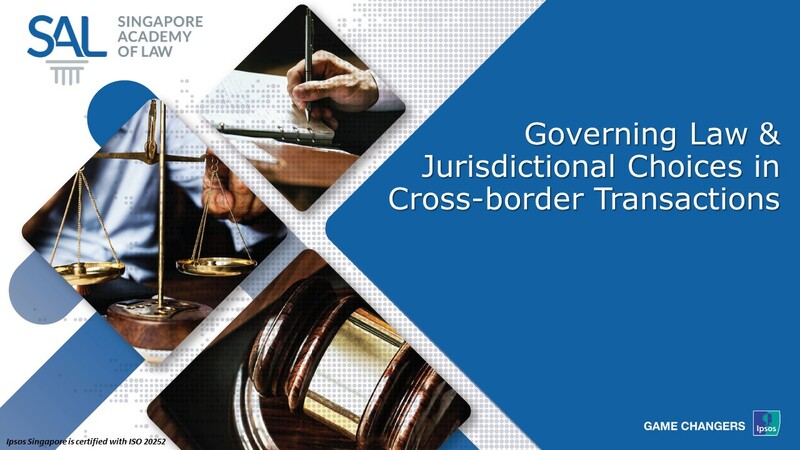 In 2019, an enhanced study was commissioned by SAL to understand the changes in perception towards governing law & jurisdictional choices in cross-border transactions, as well as to cover a broader scope and wider reach.